Let us know how we did! 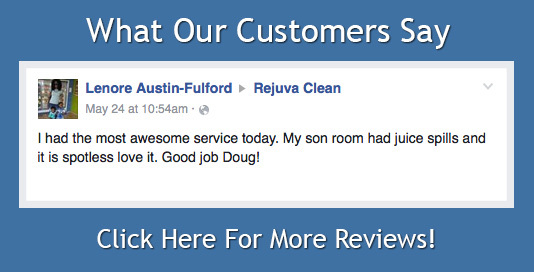 Your input helps us maintain our impeccable customer service. 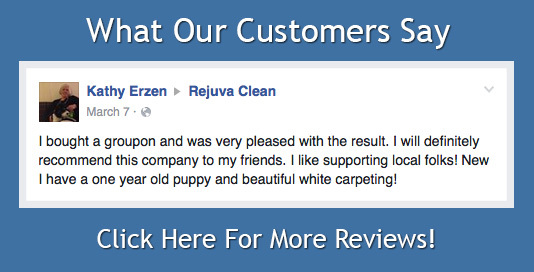 At Rejuva Clean we appreciate your business and it would be fantastic if you would be kind enough to leave us a review on Facebook, Google and Yelp about your experience with Rejuva Clean. For us it’s all about the service we offer our customers and we want people to know when we have done a good job.